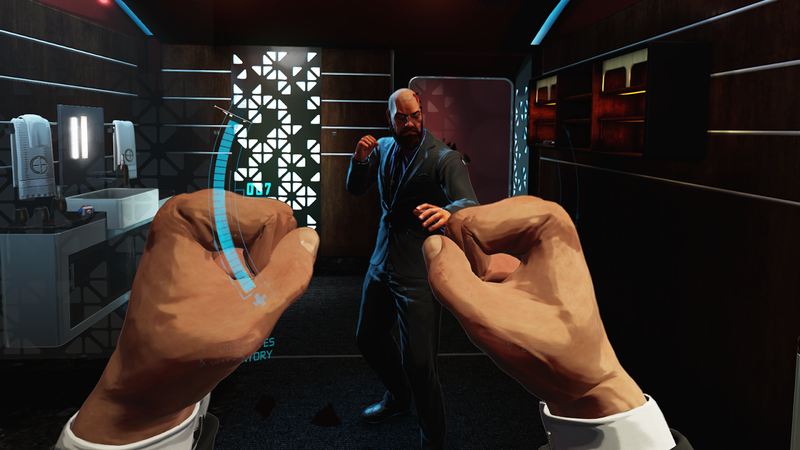 One of the better Virtual Reality games in recent years was Wilson's Heart from Twisted Pixel. It was an immersive terrific experience from a developer that was previously only known for 2D action games. 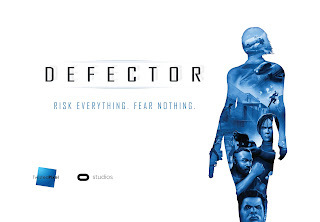 This year they will be releasing a new game for the Oculus Rift Virtual Reality Platform called Defector. 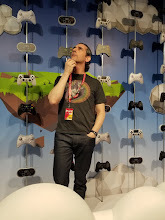 I had a chance to check out the game at an Oculus Game Day event at PAX East and I can say the game is fantastic. 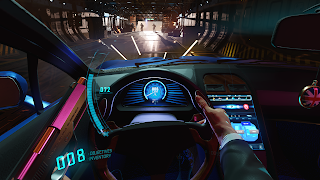 Defector is an incredibly immersive VR experience that put me in the role of a smooth talking, fast shooting secret agent in an incredibly realized world. The demo I played did everything possible to make me feel like Jason Bourne or James Bond in an incredibly effective way. Even the first moments of the game where the orientation of hardware happens was immersive. In the intro sequence I had to grab and install an earpiece and contact lens which established my comms for the mission. Once I was outfitted I started the mission which involved infiltrating a flying headquarters to get key information from a slick power broker. First I had to casually pass all of his henchmen without attracting too much attention. This was more difficult than you would think because the world is so damn realistic and amazingly represented. I found myself stopping and looking at the world far to often, with a number of henchmen giving me some dirty looks. Eventually I got in to meet the big boss, thanks to some questions I had to quickly answer with the help of my back home support speaking in my ear. Once in his inner sanctum I sat down and played a battle of wits with the creepily represented bad guy. There were a few surprises along the way as well as a double cross in my favor that was truly thrilling to experience. After this the rest of the demo was all action which was some of the coolest VR I have ever experienced. The game has MANY branches and I chose to have my partner bring the bad guy down off the plane with the remaining parachute. This left me to find another way off the plane so I set off down the crowded corridors and learned how to shoot my way out of danger with a great tutorial. 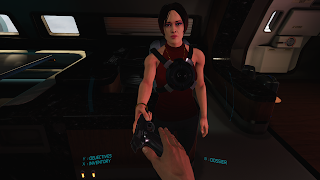 Shooting was incredibly satisfying thanks to the Oculus touch controls, I gripped the gun, aim and shot as intuitively as can be. When I needed to reload a quick button press ejected the clip and I actually had to grab a clip from my side and load it in the gun. It is very hard to describe in writing but the action is so visceral and satisfying it enhanced the overall experience in a great way. Following some gunfights I was also trained on hand to hand fighting which was also incredibly realistic, enough so it could be it's own separate game. I learned through a tutorial how to fight, and it is real swinging and blocking and then fought a thug once my gun jammed. The fight was tense and thrilling and during it unfortunately my demo glitched but I was left incredibly satisfied. I was told by the developer that the rest of the demo was equally thrilling with an escape on the outside of the plane and a dramatic escape using a car from the hangar. All in all the experience top to bottom was amazing and really put me in the mindset of a suave secret agent. I was really not expecting this immersive of an experience and was impressed with what I saw. I spoke to one of the developers at Twisted Pixel and they are introducing motion capture into this game which is a first for them and they are upping their animator and artist pool. This will enable them to create an experience that is deeper and more varied than they have ever done before and based on what I played they succeeded. 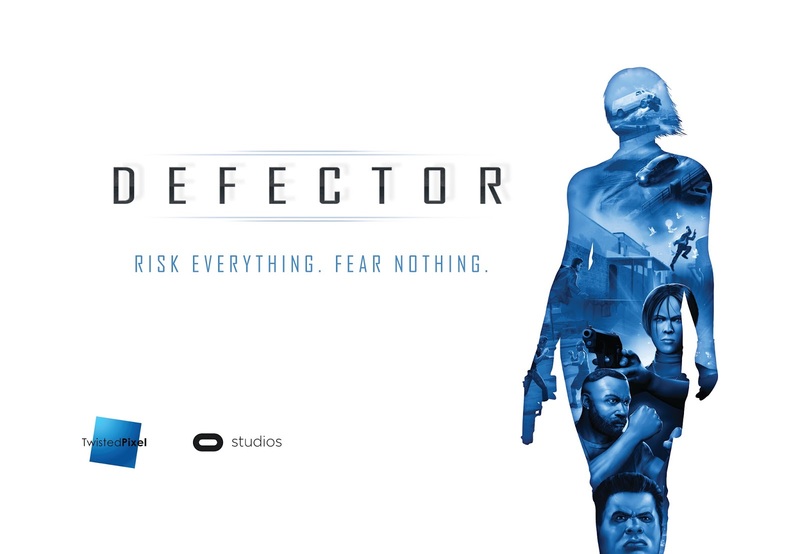 Defector was one of the best things I saw at PAX East and was a blast to play through on the Oculus Rift. This will be exclusive to the Oculus platform when it is released later this year and I cannot wait to see what the final game looks like. 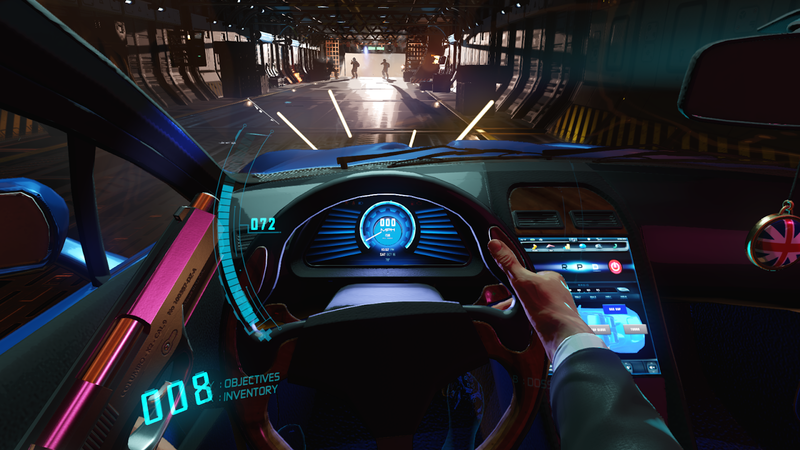 If the demo is anything to judge by this will be one of the best and most immersive VR games to date.